Millions of people are turning to YouTube and Netflix primarily as their medium to receive all their news and entertainment. Netflix has begun to develop their own original series, and some have become incredibly mainstream and popular that some subscribe just to watch one series. One such show is Orange is the New Black. Not only was Orange is the New Black a successful original series, it became a cultural phenomenon, even making its way into the New York Times as a native ad. A popular phenomenon that YouTube gave rise to was vlogging. Vlogging gives viewers a snapshot on how someone lives, how they dress, how they do their make-up, how they spend their money etc. Vlogging channels such as Charles Trippy and ShayCarl have millions of subscribers and they all tune in to watch how these people and their families live. YouTube gives viewers and creators something that isn’t afforded to television shows or movies, complete freedom. This freedom allows creator to showcase their own individual behaviors and styles of thinking without corporate or advertisement interference. On one hand, YouTube allows for organic growth of trends, but on the other the rise of YouTube has given way to corporations looking to get into the market and paying for sponsored content. One of the main reasons for cord-cutting is the prevalence of advertisements and with advertisements making their way onto YouTube many are beginning to rebel. As a result of all these factors, television companies have begun to take drastic steps to compete. Dish has started offering a new service called “Sling TV” which offers an affordable streaming option for live television. One thing that Netflix, Hulu and YouTube can’t offer is live TV, so Dish is hoping that by making the option affordable people will stick with live tv. Do you think television will one day be a streaming service with options available to have a normal box option? Sort of like the way flip-phones have to be special ordered and smart phones are the normal option. McLuhan, Marshall. Understanding Media: The Extensions of Man. Print. “New Study Shows A Rise In Cord Cutting – 8.2 Percent Ditched Pay TV In 2014, Up 1.3% YoY.” TechCrunch. Web. 30 Sept. 2015. TV advertisers have to think outside the box since the magic that used to work for them a few decades ago does not have the same effect anymore on people. According to McLuhan, “Since the advent of TV, the exploitation of the unconscious by the advertiser has hit a snag. TV experience favors much more consciousness concerning the unconscious than do hard-sell forms of presentation in the press, the magazine, movie, or radio. 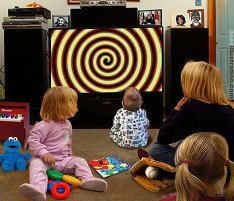 The sensory tolerance of the audience has changed, and so have the methods of appeal by the advertisers.” While still applied in today’s advertisement, companies invest a lot of money on commercial breaks since they know that the best time to “hit” is when the whole family is sitting around watching TV. Nowadays, the time has come to react to those TV commercials which try to brainwash us and make us believe that we need to buy something we do not need. Not long ago while people were helpless and had to yield to those annoying commercials in the middle of movies or news interrupting their watching experience, people now do not fall into that trap anymore thanks to the invention of the DVR and the TiVo. By using one of these devices we can skip the commercial breaks anytime in triumph, just like we are saying “enough of this crap!” and by doing so we ruin the companies’ plans to influence us and make them lose millions of dollars. Consequently, a new kind of advertising called guerrilla advertising started growing to reverse the plate on people who refuse to be brainwashed. Advertising specialists now use a more covert form of persuasion by incorporating certain products or brands in the film industry. 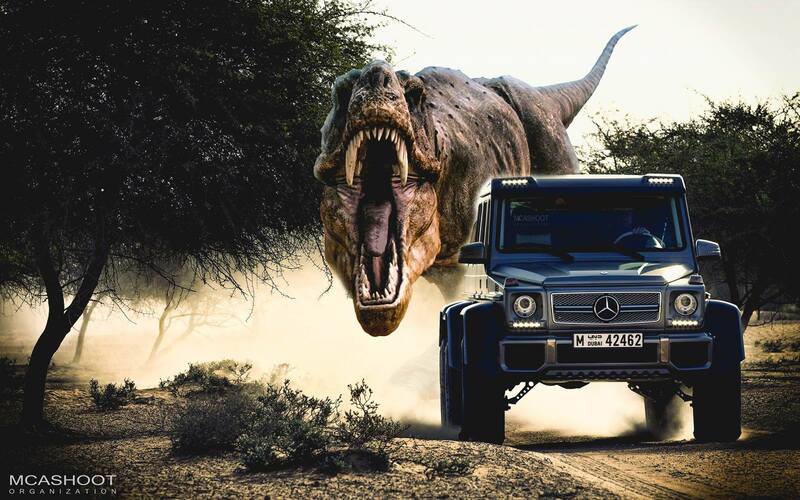 In movies like I-Robot (2004) and Jurassic World (2015), the use of high-tech cars bearing the Mercedes logos on them is not a random act. Mercedes-Benz here is communicating without communicating that its company makes the car of the future. Similarly, by showing Tom Cruise using a Nokia cellphone and wearing a Bulgari watch in the movie Minority Report (2002), the movie director has clearly made a deal with these two brands hoping that some of the audience would buy their products right after watching the movie. As technology evolves day after day, it has becomes necessary for companies to revisit their marketing strategies since people are now becoming more immune to their brainwashing tactics. It looks just like we are playing a “hide and seek” game with ad makers. The game is actually more about power and who is going to subdue the other as his servant. Who is going to win the game? Man or Ads? McLuhan, M. (1964). Ads. In Understanding Media: The Extensions of Man (pp. 227-228). The act of print has been around for a very long time, evolving as we advance into new technologies. In the reading, McLuhan explains that once TV came into the picture, comics when into a decline. Back then; the transition from going from strictly print to where television came into play was a big deal. Well now, many years later as technology has developed into something that I doubt could have been imagined back then. As a 22 year old, still going through college, Television is not high on my priority list. Not to say that I don’t watch shows or movies, I just use a different medium. The Internet provides me with all the television shows and movies that my heart desires. The question is that as time goes on, will the Internet be the decline of television as television was the decline of comics/print? Technology is advancing to the point to where people do not need to pay for cable to be able to watch television or movies. One of the biggest factors in this situation would be Netflix. Netflix introduced its online streaming service in 2007 and since then it has only grown into one of the biggest online streaming service to date with approximately 61.4 million subscribers worldwide. According to an article on Fortune.com by Barb Darrow and Stacy Jones, Pacific Crest analyst Andy Hargreaves estimated that the top 8 cable companies lost 463,000 subscribers in the second quarter of 2015 alone. People are “cutting the cable” for more affordable options such as Netflix and Hulu. As of right now, there are still large amounts of people who are subscribed to a cable network but as the younger generations get older and be more susceptible to leaning toward Netflix and Hulu, will cable be phased out completely? It is almost like how print journalism is heading right now. There are generations who prefer to have the hard copy sitting in front of them where they can feel it and turn it in their hands. That generation most likely has the same option of cable television. How else are they going to watch the news? Where the younger generation would look up clips on the Internet. As everything and anything gets more accessible via the Internet the original medium will slowly get phases out. Not to say that it will be immediate. There are still people who enjoy a good comic book even now, however a majority now read a graphic novel via a different medium such as on a tablet rather than an actual paper book. So the question I leave now is do you think that television is going to continue to decline due to the Internet like television did to comics or will it level out? When first films were released they didn’t have any sounds at all so imagine the struggle that people felt back then. Even so comedy movies managed to entertain people because actions would speak more than words. Since I was a kid I have always loved movies. Growing up I kept that love and nowadays I write movie reviews and try to stay updated with everything that is being released. Reading throughout the book, I was pleased to see that McLuhan decided to devote a whole chapter about movies. Sometimes I find myself thinking about how lucky we are to be leaving in this century. If we think about it, about 100 years ago the idea of having an image move was already an incredible dream. Nowadays we can pretty much do anything with the technology we created. Imagine if the people from a century ago could see the progress we made with movies. From silent movies to CGI animated technology. Maybe we take a little for granted what we have right now. I really liked the quote because it makes you think. 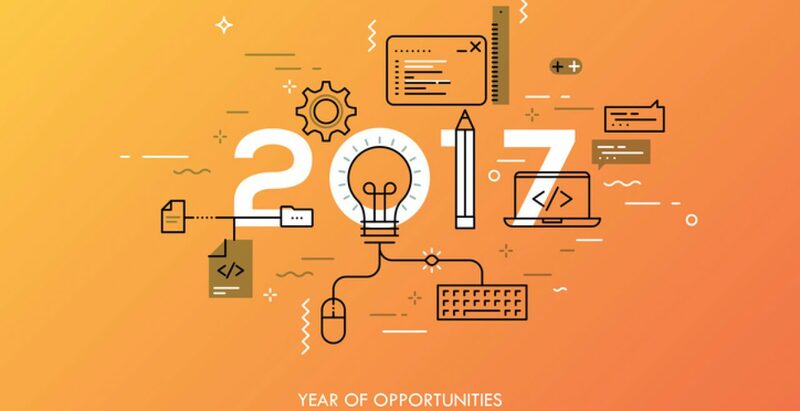 What we realize by reading it, is that the innovations we come up with now will be looked as miniscule concepts in the future and that is a difficult concept to grasp at first. It was interesting to read in the chapter about how Africans first perceived film. I could have never imagined their reactions and frankly I found it a little funny. It can only be funny to a certain extent though, because it was literally their first time watching a film. Like the author says, the African audience wasn’t capable of perceiving dimensions and perspective. It makes me wonder what would happen to us now if we were subject to a similar experience. I don’t know how we would react but if we are subjected to something we don’t comprehend than I feel that we would pretty much have the same reaction. This quote sums up perfectly the role of every inventor. For inventor I mean anyone that creates a piece of literature, movie, song etc… If you, as the inventor, manage to pass the emotions you want to the audience, than you have achieved the ultimate goal. If that feeling is not passed along than the audience doesn’t appreciate the piece of art that you exposed them to. Today this is definitely a much harder task than it was dozens of years ago. Everybody is a critique now and people nowadays are really hard to satisfy. It takes a true master to know what the audience wants exactly. Many movies these days feel redundant and tedious but there are the ones that stand out for their effort and especially because they managed to give the audience that emotion that everybody is looking for. When watching a movie next time, ask yourself what is the message the movie wanted to transmit you? What made it so particular and unique? Sport is a way of life in many cultures across the globe. Stores close, family plans are cancelled, and extreme measures are taken to attend the big game. Games break up automation among the citizens of a given culture. 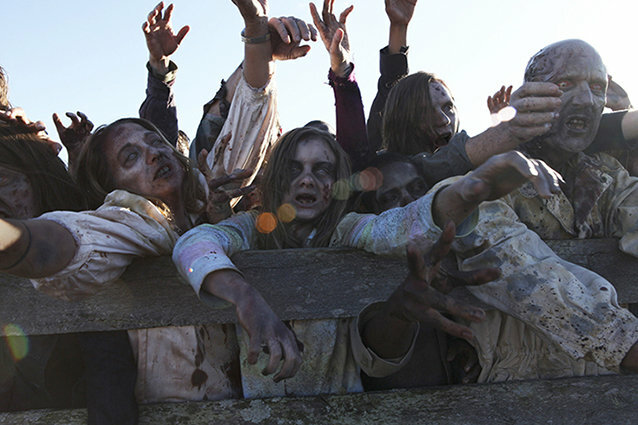 This almost zombie way of living must be broken up for the benefit of culture as a whole. By participating in game/sport, tensions are lifted from weekly work stress, life struggles, and other stressors that occur in culture. For this time when the game is taking place all of these stressors are combated, avoiding the automation that can occur over time with repeated stress. Sport has become a way for an individual to create an extension of oneself to combat these stressors. By participating in these events the individual breaks away from the tyranny of the social machine. The importance of spectators is essential to the sport. If there was nobody watching and participating in the event it would simply be a practice of sport. Sport thrives off of the participation of the spectator. Different cultures participate in a wide variety of sports across the globe. Two very unique groups of people can be looked at while keeping this extension in mind. The Florentine Nuts and British Bolts. People from all over the world gather to witness this unique sport in Florentine culture that has gone back to the 15th century. 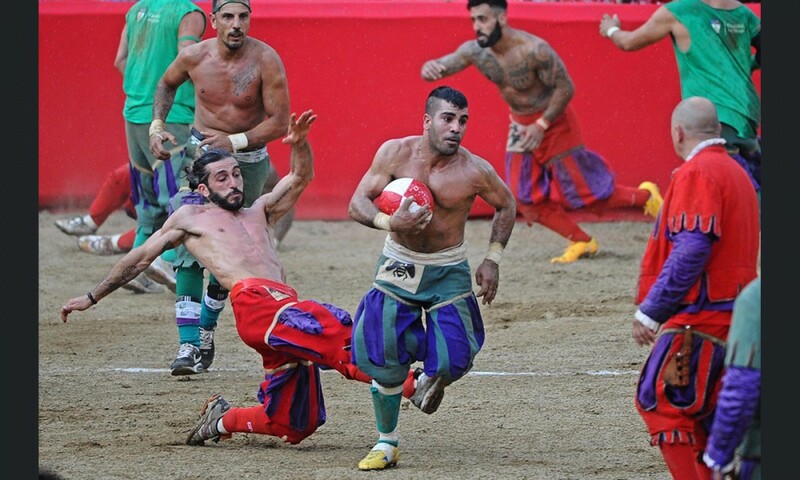 Just like we gather at our stadiums for American Football to “tailgate”, the Calcio Fiorentino brings thousands of spectators to participate in this annual event. During the Month of June, 4 teams compete in a playoff to determine who will play in the final game. This championship match is played on June 24th on patron Saint John the Baptist’s feast day. 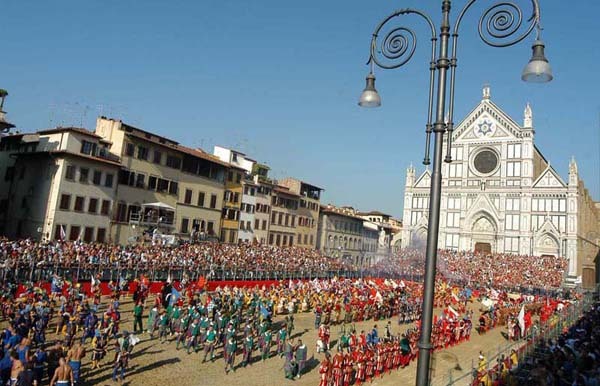 On this day, the four boroughs of Florence come together for parade and feast. Similar to American football’s tailgate, the Florentine’s enjoy different food and music to celebrate the Saint’s feast day and prepare for the big game. This event is a celebration for not only St. John the Baptist, but for Florentine culture as a whole. The four boroughs which have differences in culture come together on this day to celebrate life and sport. After the parade and feast is finished, the spectators flood the Piazza, which is equivalent to a town square in traditional colonial cities in America. all into the goal, pretty simple right? The goals can be either scored by a throw to a designated area, or can be ran in for a score. The problem here is that opponents can do anything to stop the scoring. The Calcio Fiorentino has been labeled as one of the world’s most brutal/dangerous sport. During play teams engage in fights and big hits on the ball carrier make for a dangerous display of sport. The game is played for 50 minutes and the winner takes the Chianina Calf! The sport of soccer or futbal is one of the globe’s most popular sports. In Europe this sport is rules the extension of people within the culture. 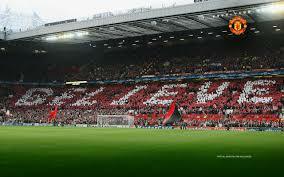 Noted as some of the most loyal fans to their sport, these people are in complete extension while at the match. There is a group of fans that are labeled as hooligans. These fans are so extended that nothing matters except for the team and their success. Many times these extremist fans are caught on camera getting into brawls before, after, and even during the game. These hooligans come from all walks of class, upper, middle, lower class come together in extension. Just last week, my library had a book sale. An entire floor was set up with thousands of long ago forgotten books. Fiction, biographies, textbooks, and children’s books: There was something for everyone, and it seemed that everyone in the area had come out to confirm that. But that’s not to say time and technology hasn’t had an impact on the state of affairs for books. But the written work hasn’t necessarily been destroyed. E-readers like Kindles and Nooks have taken the place of physical books, but electronic books are still in demand and, if anything, more accessible because some e-readers have a “free” section to allow customers to build their libraries and explore different genres. You can access these e-books on any web browser if you don’t own an e-reader, and can “lend” any books you buy on your device to friends who have similar devices. According to Marshall McLuhan in “Understanding Media,” books provided an extension to our own visual perspective; it brought in education and universal literacy. Most importantly, according to McLuhan, it gave us an opportunity to experience events while remaining detached and uninvolved. As a journalist, I may have a bias toward written work, but it’s undeniable that reading can transport your imagination to another time and place. According to an article the article “The act of reading has powerful positive effects for your brain” by Dylan Barmmer, reading makes your brain work on a multitude of levels more than watching or listening to something will. You have to process the words, concentrate on the story, imagine how the characters look and act, and remember the tale as you delve deeper into the pages. McLuhan talked about how printed works could have a social effect in history and break traditional molds. Written work can still have profound effects socially. Look at fandom’s, like Harry Potter, Lord of the Rings, or Twilight. Of course these all became significantly bigger when movies were released, but the books alone have huge followings. Lord of the Rings, specifically, is a great example. The trilogy was published originally in 1954 and 1955. The movies didn’t come out until the early 2000s. The books were hugely successful and popular for decades before they had visual elements added to the collection. And after every movie release of Harry Potter, I don’t think anyone could avoid the lists of complaints avid book fans sent out online about discrepancies between the novels and the films. People want to see the book play out just as they’d imagined it when they’d read it, even if that means a six-hour movie. Granted, that would have a very limited audience, but those die-hard book fans didn’t care. They didn’t want the precious words changed by even one letter. No matter what advances come in the form of technology, I don’t think the book industry will ever die. There will always be a format for them out of necessity. Is that a fair assessment, or are books eventually going to be a memory of an old past-time? McLuhan, M. (1964). Understanding Media: The extensions of man. New York: Gingko Press. McLuhan argues that focusing on content rather than form causes people to miss the most important feature of the media: its ability to change human activity and interaction. He explains that in many cases, the content of a medium is another medium, for example: a text message contains the printed word, which contains writing, which contains speech. The media is such a pervasive aspect of human life that its effects often go unnoticed. McLuhan asserts that it is crucial to examine the media itself because most people are unconscious of it: “Perhaps the supreme quality of the print is one that is lost on us, since it has so casual and obvious an existence” (p. 178). He argues our constant interaction with the media camouflages its impact and restricts our ability manage the effects. McLuhan suggests that we have ended at the consumer culture of television. The print culture turned language into a mass media that promoted nationalism, something impossible prior to print. When a new medium emerges, it begins by transmitting old or existing information rather than creating new ideas to help familiarize people with its use and function. McLuhan explains that new media eventually changes over time: “A new medium is never an addition to an old one, nor does it leave the old one in peace. It never ceases to oppress the older media until it finds new shapes and positions for them” (p. 194). New media allows individuals to interpret and experience life in a different form. Additionally, McLuhan explains the impact of new media on human functioning: “The spoken word was the first technology by which man was able to let go of his environment in order to grasp it in a new way” (p. 69). When media combine, they change in their form and application, affecting our senses, environment, and the way we interact the media and each other. This reading made me think the new wave of media devices that are currently being integrated into our lives. 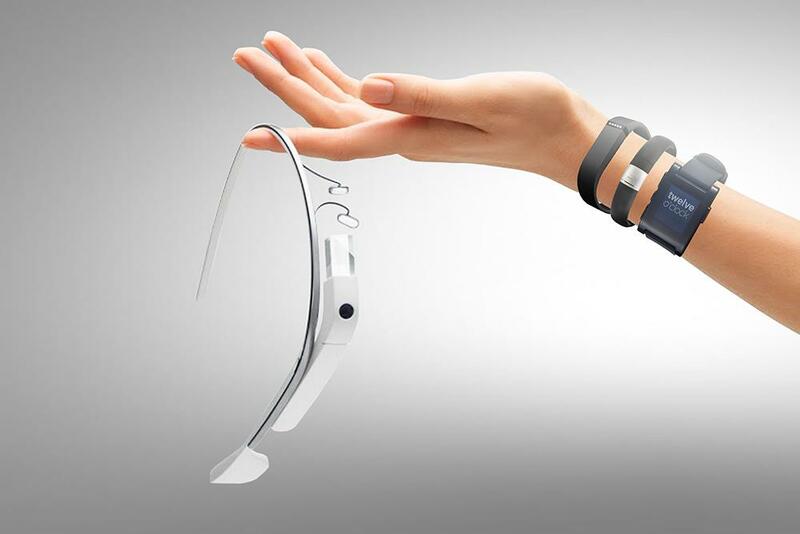 An example that came to mind is wearable technology like smart watches, Google glasses, and fitness bands. 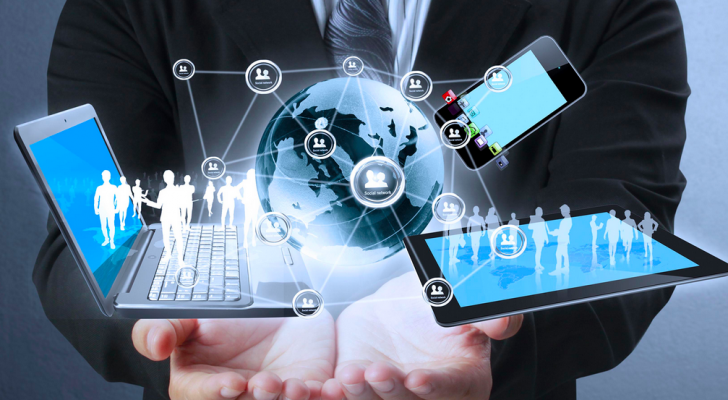 Today, people purchase wearable technology to access real-time information from any location. Many of these devices have the same technology as computers and smart phones, except they are much smaller and are able to be worn on the body. Currently, 20% of Americans own wearable technology and those numbers are expected to rise in the coming years. According to PWC, users cite that wearable/sensor technology has enhanced their lives in three main ways: “improved safety, healthier living, and simplicity and ease of use”. People can use wearable technology to locate their family members and friends. One of the notable applications for safety is called Wearsafe which alerts social contacts selected by the user in the event of a problem or emergency. This device is about the size of a quarter and send text updates of their location, streams audio, and the can directly call 911 with the push of button. Wearsafe is also advertised as a means of helping the elderly to feel more safe and confident living on their own. 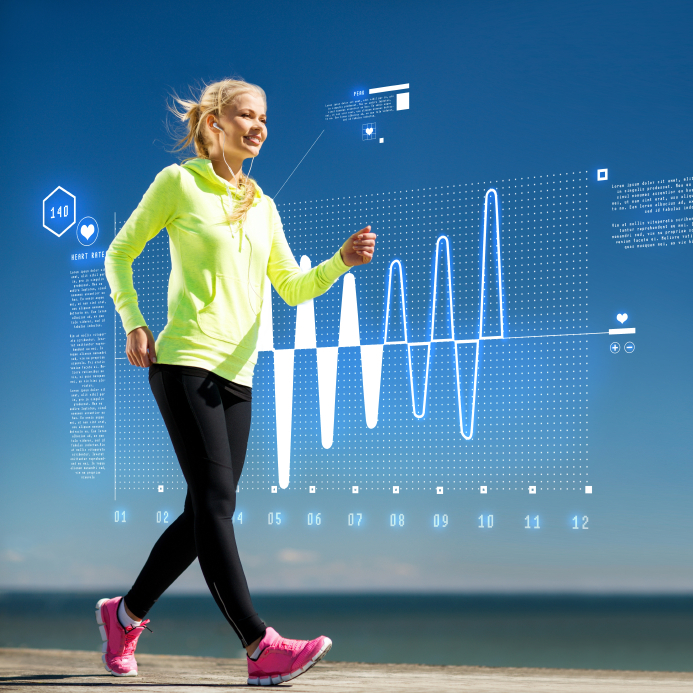 In addition to safety, sensor technology can provide us with health information and fitness tracking. Devices like FitBit Charge HR and Jawbone UP2 are two of the leading wearable technologies for health and fitness monitoring. These devices compile a person’s activity 24 hours a day, 7 days a week- tracking sleep cycles, monitoring heart and metabolic rates, and calculating the number of calories burned. Some of the devices are even capable of conveying information to health care providers which can be especially beneficial if a person has a serious allergy or medical condition like diabetes. Finally, the simplicity and ease of use is another way wearable technology enhances our lives. Many of these devices alert users of incoming calls, text messages, and emails, making it easier to stay connected. This year, the hotel chain- Starwood Hotels and Resorts- has introduced a new way of checking-in by allowing guests to use their smartphones or smartwatches to access their hotel room. With this technology, people no longer have to check-in with the front desk to get their room key. Instead they make reservations, check in, and access their room from their own smart device. Starwood Hotels and Resorts claims that this will help them to provide better customer service by freeing employees of time spent on administrative tasks and providing them with more time to focus on the guest’s experience and needs. Wearable devices are advertised as technology that provides users with personal, real-time information that keeps us safer, healthier, and more efficient. Keeping this in mind, it makes me wonder what McLuhan would think of wearable/sensor technology as ‘extensions of ourselves’. 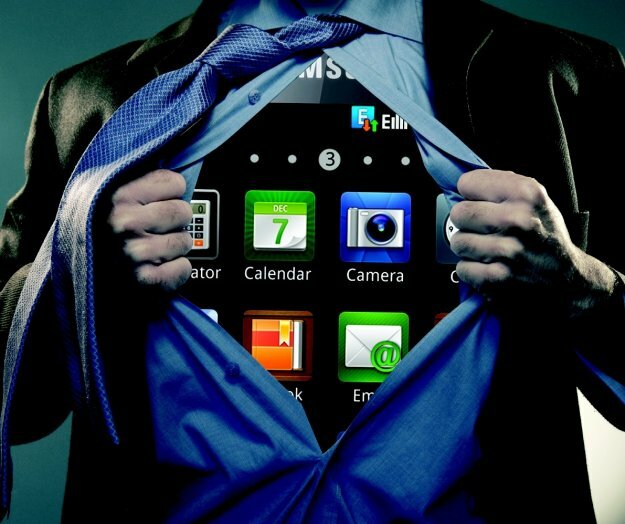 How have wearable technologies changed the way we gather information and ‘sense’ our environment? I would argue that it affects our thought processes and functioning because people think and act differently when they are being monitored (or when their running pace is instantly published to Facebook) than when they are disconnected from technology. I am curious to hear your thoughts and comments on sensor technology as new media- do you think wearable technology affects how we function and process information?